The PAGE 2012 meeting was hosted by the Università degli Studi di Pavia and the Università degli Studi di Padova and was held at the Palazzo del Casinò – Lido di Venezia. At the charity raffle for the victims of the earthquake in Emilia Romagna (Italy), that was held during Page Meeting, a total of 700 Euro was collected. The entire amount was given to the priest of the parish Church of Finale Emilia to rebuild part of the "Scuola Materna Sacro Cuore" nursery school which was completely destroyed. The oral abstracts can be downloaded as a single document (pdf or rtf) and all poster abstracts can be downloaded as a single document (pdf or rtf). Special Apps have been developed for iPhone and Android to view all abstracts off-line on your portable device. PAGE meetings take place in an informal atmosphere with vivid scientific discussion. The meeting will start with the Welcome reception on Tuesday evening June 5. The scientific programme will start on Wednesday morning June 6 and will end at noon on Friday June 8. Participants are encouraged to attend all conference days and present their work in the form of an oral presentation or poster. The annual Lewis Sheiner Student Session was inaugurated, both to honour the memory of Lewis Sheiner and to highlight his lifetime passion for student education. Students who wish to be considered for this session should submit an extended abstract before the end of 1 March of their intended presentation for the PAGE meeting. A structured abstract is required (Objectives/ Methods/ Results/ Conclusion/ References) with number of characters (including spaces) not exceeding 7,000 but not less than 6,000 for the abstract itself (i.e. excluding Title/ Authors/ Affiliation and References). The submitted work must have been performed either as part of an MSc or PhD programme and/or will ultimately form part of a PhD thesis. Each year a rotating committee of three members, representative of the PAGE community, will judge who should receive the honour of presenting in the Lewis Sheiner Student Session. If elected, the student will automatically receive a PAGE-sponsored 300 euro travel grant (on top of potential other grants, see below). A permanent list of students, with links to their presentation, will be maintained on the web site. This discussion will recapture a recent workshop at the EMA (December 2011) and promote a future collaboration between modellers working in drug development and assessors of the regulatory agencies. Moderator: Joachim Grevel. Panel composition: Terry Shepard, Gerard Pons, Peter Milligan, Mick Looby, Leon Aarons, Nick Holford. Registration is now open and is only possible at the PAGE website. Your personal details (address etc) are still available if you have registered at the PAGE website before. Please keep our database up to date by editing your existing profile if required! If you've forgotten your password, a reminder can be requested automatically from the website by e-mail. If you've forgotten your password and changed your e-mail address then please contact Rik Schoemaker (rs@page-meeting.org). Updates of personal details in the website are confirmed automatically by email. Note that if you do not receive a confirmation, you should check that your e-mail address is correctly entered in the designated field. Registration to the website is required for first time users, who can then log in again to enrol for the meeting. Registration fees are 600 euro for participants from industry and commercial enterprises, 400 euro for academics and non-profit participants (including government employees) and 120 euro for students (in an MSc or PhD program at the time of the PAGE-meeting and not otherwise employed). Fees include coffee, tea and lunch on all days (except on Friday, June 8), the welcome reception on June 5 and admission to the social event on June 7. Accompanying persons can attend the social event for a fee of 140 euro. Participant places are limited and allocated on a first come first serve basis. Pragma Congressi, the local organiser agency, has identified hotel accommodation at special rates for the PAGE meeting on a first come first serve basis. Hotel reservation will be possible separately from the meeting registration. An overview of the hotels can be obtained here (pdf for download) and a map of hotel locations can be obtained at the following link. Participants will be able to select and book the hotel from the local organiser website https://www.pragmacongressi.it/page2012. Special requests can be done by contacting the local organiser secretariat (see at the bottom of this page). Hotels must be booked before March 15 to ensure availability. If necessary, you can contact the Conference Secretariat at page2012@pragmacongressi.it for further details. Venice visitors pay a tourist tax for a maximum of five consecutive nights with varying rates depending on the type of accommodation (range between 1 and 5 Euros per person per night), to be paid at the hotel by the customer. If you decide to make your own hotel arrangements, please note that Venice and Venice Lido are not the same place: Venice Lido is an insland 20 minutes away from Venice. Hotel reservation and payment of the registration fees are only possible at the Pragma Congressi Srl local organiser website (https://www.pragmacongressi.it/page2012). Access to the website will require your PAGE login information (username and password). Please allow at least one business day for your PAGE web-site registration information to be transferred to the local organiser web site. Participants will have the possibility to book their accommodation separately from registration. Participants will have the possibility to book their accommodation separately from registration. For accommodation reservations a credit card (VISA or MasterCard, valid at least through June 2012) is required in order to guarantee the booking. Hotels will charge by the end of March the deposits according to the general conditions published on the website. Balance must be paid at the hotel. Registration fees must be paid by credit card (accepted credit cards: VISA and MasterCard). You are expected to complete registration fee payment at the local organiser website within 14 days of registration at the PAGE website. Failure to meet this deadline will automatically place your registration on the waiting list. No refunds will be given after payment of the registration fee, not even in the extremely unlikely event of cancellation of the meeting due to force majeure. Cancellations or changes to hotel accommodation are allowed without penalties until March 15, 2012. After this deadline, participants should contact the hotel directly for changes or amendment to their bookings. Cancellation policies published on the website for each hotel will be applied. Replacement or substitutions will be accepted at any time. In deviation from previous years and in order to curb the huge number of posters, please note: every participant is only allowed to submit one abstract. If you submit an abstract for an oral presentation and we do not have enough room in the oral program (about 20% or submitted oral requests can be honoured), you will be contacted if you want your abstract to still be available for the poster session. Therefore, you do not need separate oral and poster abstracts. In order to facilitate review of abstracts and to aid in a structured presentation of posters, an abstract category should be selected when submitting the abstract. For abstract submission click on 'Register/submit abstract', log in if necessary and click the link on the bottom of your personal info page. Submission of abstracts is only possible online through this website. A structured abstract is required (Objectives/ Methods/ Results/ Conclusion/ References) with number of characters (including spaces) not exceeding 2,500 but not less than 1,000 for the abstract itself (i.e. excluding Title/ Authors/ Affiliation and References). Please follow these instructions carefully regarding format and length of the abstracts or download them in either Word/RTF or Adobe/PDF format. Abstracts that do not comply will require re-submission. Upon submission of an abstract, an e-mail will be sent to you with your abstract. This e-mail will also be sent to the committee responsible for peer review in the selected category and abstract-updates may be requested. Abstracts will remain invisible until release of the final program. The deadline for regular abstract submission is 15 MARCH 2012. The poster boards will accomodate an A0-size portrait poster (118.9 cm high and 84.1 cm wide/46.8 by 33.1 inches). Material for mounting your poster to the boards will be available on-site. Students in an MSc or PhD program who submit an abstract for a poster or oral presentation may apply for sponsorship (between 200 and 300 euro, depending on the total number of submissions), by downloading this pdf file, filling it in electronically, printing it and sending it along with a copy of the student ID and a letter from the supervisor to the address on the pdf form. The deadline for requesting sponsorship coincides with the deadline for abstract submission: 15 March 2012. Students who want to qualify for a sponsorship should require hotel accommodation for the meeting and applications are limited to students who have no other funding source (e.g. industrial funds, professional societies). This means that the applicant's trip cannot be fully funded by someone else; sponsorship can only be requested if a substantial amount of personal funds is required to finance the trip to Venice. Waiting to defend a thesis but being otherwise employed at the time of the meeting, excludes one from applying for a sponsorship. Software companies, Academic Software Application Developers and Contract Research Organisations are welcome to present their products and services during PAGE. Please contact our conference secretariat for further details at page2012@pragmacongressi.it. Pharsight Corporation will present a hands-on workshop on “Phoenix Connect: Linking Modeling and Simulation Tools, including NONMEM, R, Xpose & PsN, in Phoenix Workflows” (June 5, 8:30 am – 12:30 pm, Registration Fee: Free). For details, check here. Pharsight Corporation will present a hands-on workshop on “An Overview of the QRPEM Algorithm in Phoenix NLME” (June 5, 1:00 pm – 5:00 pm, Registration Fee: Free). For details, check here. Uppsala Pharmacometrics will give a 2.5-day course on Pharmacokinetic-Pharmacodynamic modeling of continuous and categorical data in NONMEM for intermediate and advanced users from 3rd to 5th of June. The course presents modeling strategies, techniques and implementations for the handling of PKPD information in population models. PD models for continuous data as well as binary, ordered categorical, count and time to event data will be discussed. Model diagnostics for PKPD models will be covered. The course will consist of both lectures and hands-on computer exercises using NONMEM 7, PsN and Xpose 4. For details, check here. ICON will present a one-day NONMEM 7 course on 5 June covering the description and use of new features in NONMEM 7.2 along with features of PDx-POP 5.1, the graphical interface for NONMEM 7. For details and registration check here. A 2 days MONOLIX 4.1 workshop presented by Marc Lavielle will be given on the 4th and 5th of June. The course is designed for both beginners in PK-PD modelling as well as more advanced ones. The course will present several features available in MONOLIX 4.1: libraries of PK-PD and discrete data models, MLXTRAN for continuous and discrete data models, MLXTRAN for complex PK models, mixture models, graphs and tables, IOV,... It will emphasize hands on training, with the participants working on their own computers. For details, check here. Simcyp is running a one-day hands-on workshop on Tuesday 5th June to showcase the features of the Simcyp Simulator for propagating mechanistic PK variability to PD and study design as well as combining top-down and bottom-up paradigms. The course focuses on the contrasts between ‘classical POP-PK analysis of clinical data’ and ‘bottom-up PBPK/PD approaches combined with population data analysis’. This bridging helps with covariate recognition, model building and rational design of studies (Registration fee: Free). For details, check here. Physiomics will present a half-day workshop on Applications of Physiomics’ Virtual Tumour to optimize the outcome of xenograft experiments on June 5th, 1:00 pm – 4:30 pm at Palazzo del Casinò (no registration fees). This workshop will review the available PK/PD models to simulate and analyze xenograft experiments and will present the features and the implementation of Physiomics’ Virtual Tumour technology with a case study. The workshop will include an interactive session, where the participants will be shown how the technology could be used to simulate an infinite variation of doses and schedules. For more details click here. Venice, gateway to the Orient, is one of the few cities in the world that can be truly described as unique. Over an extraordinarily long period, the city was embellished with monuments of rare splendour that today make it a tourist attraction like none other in the entire world. Venice is one of Italy's top travel cities. Its small, traffic-free streets along the winding canals make for great walking. You'll find many magnificent churches and palaces, lively squares, and interesting shops. Venice actually consists of 117 bodies of land connected by more than 400 bridges over its 150 canals. The Lido of Venice (also known simply as Lido) is a thin long and narrow island, that is located one kilometer east of the city. It is also called the Golden Island by Venetians and its inhabitants. The Lido has a length of 12 km, the width of the island ranges from 300 to 1000 meters. It is located between the Venice lagoon and the Adriatic Sea, bordered by the ports of San Nicolò and Malamocco, connected to the city and the mainland only through Vaporetti and ferry-boats. It is one of the few islands of the lagoon where there are roads and is also a small touristic airport. The island of Lido has always proved a fundamental link in the long chain of inlands dividing the sea from the lagoon: being a narrow strip of land squeezed between two different water systems with their temperature differences. This means that Lido's air is never still, but constantly moving in a light breeze -making the island excellent as a salubrious place to stay. Venice is in on the northeast coast of Italy. It is protected from the Adriatic Sea by a strip of land called the Lido. 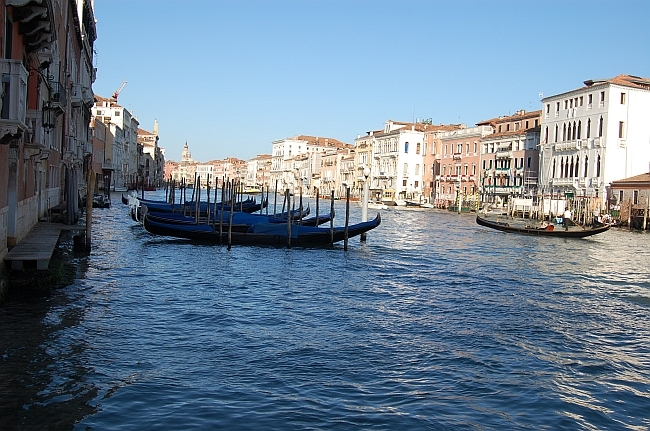 Since it's near the sea, Venice has moderate weather although there can be rain nearly year-round. Travellers from Milan, Verona and Treviso can arrive in Venice by train at the Santa Lucia Train Station. Travellers flying to Venice will find direct flights to Marco Polo airport from most European capitals. From the airport you can take a boat (vaporetto/water bus) to the Lido. Low-fare airlines operate from nearby Treviso. The main public transport in Venice are vaporetti, boats that operate on the principal waterways. Important: Venice Lido is an island 20 minutes far by boat from Venice. Detailed information about how to reach Venice can be obtained here (pdf for download).